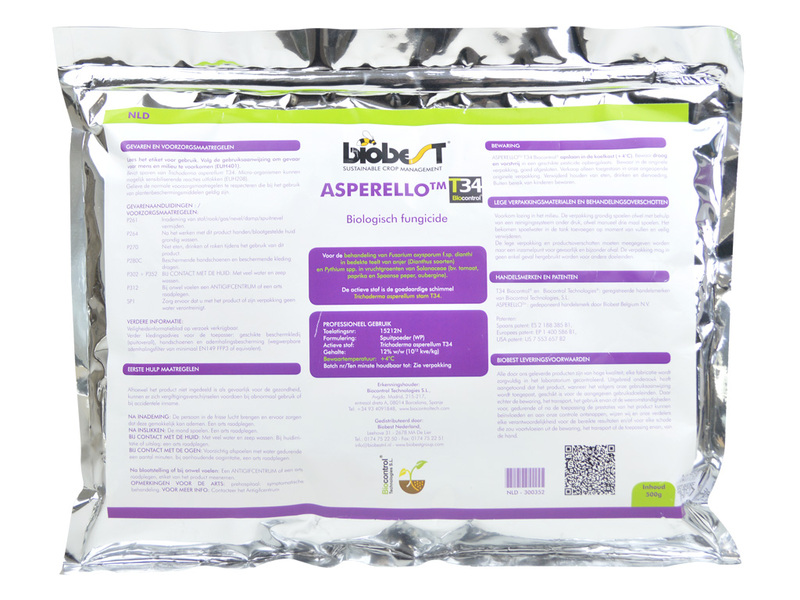 ASPERELLO™ T34 Biocontrol® is a biofungicide which contains the antagonistic fungus Trichoderma asperellum strain T34. It has multiple modes of action. ASPERELLO™ colonizes the roots, forms a barrier against pathogens and supports healthy root growth; Asperello™ triggers the plant’s natural defense mechanisms and it parasitizes and actively kills pathogens. It is used in a preventative way to protect ornamentals against the major root diseases, including Fusarium, Pythium, Phytophthora and Rhizoctonia. 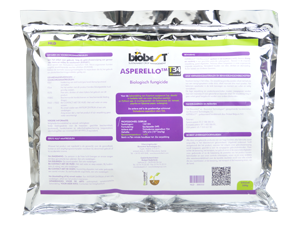 Why choose for ASPERELLO™ T34 Biocontrol®? Note: Use plant protection products safely. Check product authorization in your country. Read the label and product information before use, and apply in accordance with specified directions for use. EPA registered, available in Alabama (AL), Alaska (AK), Arizina (AZ), Colorado (CO), Connecticut (CT), Florida (FL), Georgia (GA), Indiana (IN), Iowa (IA), Kentucky ( KY), Maine (ME), Massachussets (MA), Michigan (MI), Minnesota (MN), Missouri (MO), New Jersey (NJ), New Mexico (NM), New Jersey (NJ), New York (NY), North Carolina (NC), Ohio (OH), Oregon (OR), Pennsylvania (PA), South Carolina (SC), Tenessee (TN), Texas (TX), Virginia (VA), Washingston (WA). For other states or countries, please contact your Biobest advisor. Please click here for Canada.